Srinagar, February 9: Ruled under the purview of Governor, the state of Jammu and Kashmir will now have a separate division for Ladakh. 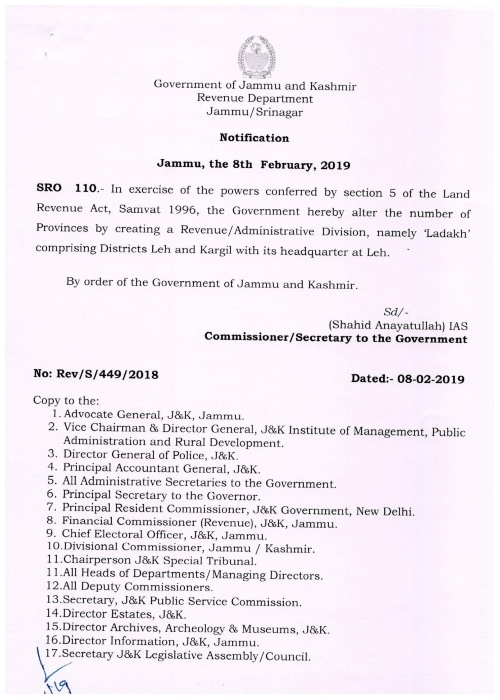 Ladakh will now have a separate divisional commissioner and an inspector general of Police (IG) with a full administrative and revenue division at par with Kashmir and Jammu divisions. The Jammu and Kashmir administration on Friday created a separate division for Ladakh, which was part of the Kashmir division till now. The administration issued a order which stated that Ladakh would have a separate division. The decision by the government goes a long way in fulfilling the demands of the people in Ladakh. 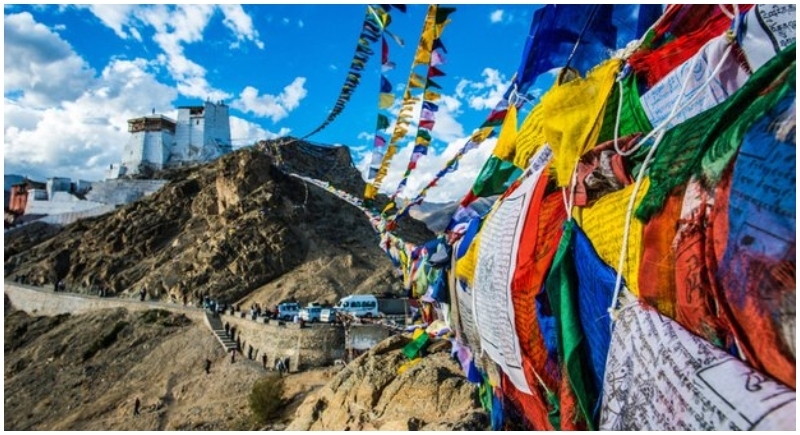 There have been persistent demands from the region for creation of a separate division, claiming that the tough, distinct topographic conditions and unique cultural status of the Ladakh region deserves a special treatment, particularly due to the distance from the state capital,” a government statement read. PDP president Mehbooba Mufti welcomed the decision but said she failed to understand the government's intention of ignoring Chenab Valley and Pir Panjal regions which are equally remote and have a much larger population than Ladakh. National Conference leader Omar Abdullah Friday said he will grant the status of a division to Chenab valley and Pir Panjal region if his party was voted to power in the Assembly elections in Jammu and Kashmir later this year. The former chief minister was reacting to the state government's decision to grant the status of Division to Ladakh region, consisting of Leh and Kargil districts. "After the elections of 2019, should the people of J&K repose faith in @JKNC_, our government will grant division status to Chenab valley & Pir Panchal regions as already laid out in our regional autonomy promise," Omar tweeted.